Misspelt Málaínn on Discovery map. 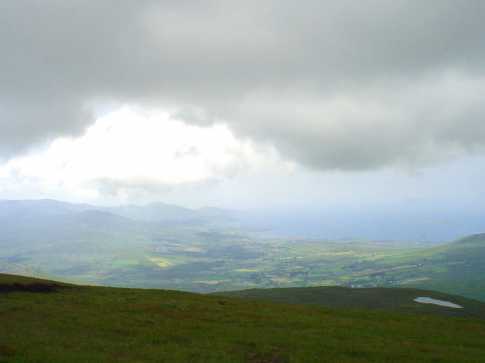 Maulin is the 252nd highest place in Ireland. After resting at the small lake on the col after Knocknagree I headed for Maulin. In contrast to Knocknagree , Maulin is covered in short heather with on the occasional bit of rock jutting out . The climb to the summit is initially a bit steep but levels off to a more gradual slope.